The list of influential, extraordinary and legendary musicians that Henry Diltz has photographed is seemingly endless. It includes such luminaries as Crosby, Stills and Nash, Joni Mitchell, The Doors, Jimi Hendrix, Neil Young and Mama Cass. Anyone who reads album liner notes will know Henry; he is responsible for some of the most unforgettable album covers in modern music and has created stunning visual essays on Woodstock and the Monterey Pop Festival. This survey of images from across four decades features both instantly recognisable moments and previously unseen out-takes, as well as Henry's personal reminiscences about the photographs. In the world of rock n' roll photographers, there are none as extraordinary as Henry Diltz. 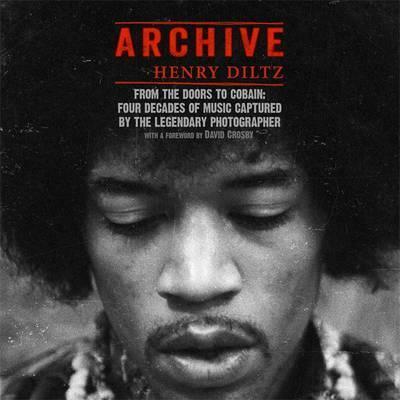 A founding member of the Modern Folk Quartet, Diltz is accepted as a fellow musician by the subjects of his photographs, giving him an insider's view of the last four decades of popular music. The rapport he's developed with his musician friends, along with his down-to-earth nature and infectious laugh, has enabled him to capture the candid shots that convey a rare feeling of trust and intimacy.